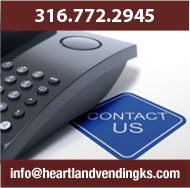 Heartland Vending Provides You With the Latest Technology! Gone are the days of the rusty vending machine that took your money and failed to drop your candy bar. Today modern vending includes amazing technology that not only ensures fresh products and trouble-free operation, but can dispense paper bills as change and even notify us about low product levels so we can re-stock your machines before you run out. Our handheld technology by Streamware monitors your machine sales. This lets us make better decisions about what is selling for every one of our customers. This technological advancement gives you a far more satisfying and profitable vending experience. « Temperature controlled machines so food stays fresh longer. 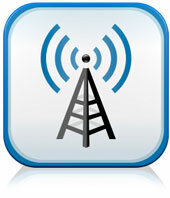 Pre-kit Operation lets us control your vending operation through a state of the art wireless system. 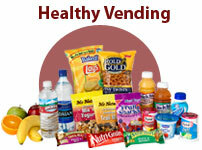 We are able to track what is low in your vending machines and pre-kit the refill products from our warehouse. That's right, with this amazing technology we already know what the customer will need before they even arrive at the location. This helps you by limiting empty products in your vending machines and identifying slow moving products. Let's talk technology! 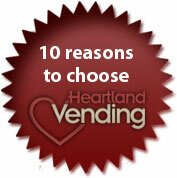 Call at 316.772.2945 or email us at info@heartlandvendingks.com for a no obligation discussion today!